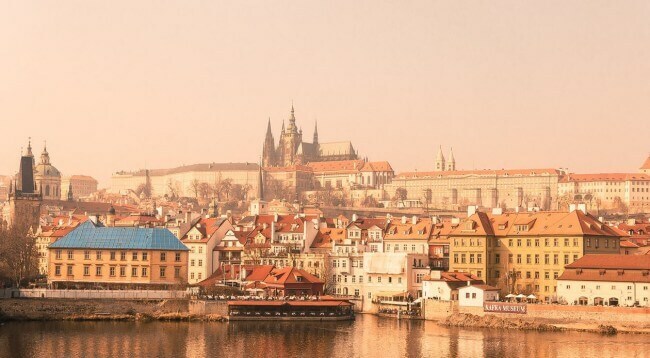 Once an oppressed, gray country, the Czech Republic has risen from the ruins of the Second World War and the Iron Curtain to become one of Europe’s shining stars. Full of gleaming, modern buildings, restored Baroque architectural gems, Old Town (a medieval settlement), and young people in dapper business attire, Prague is most definitely both a historic and style destination – the ideal place for any modern gentleman. Most of the 2 million Czechs living in Prague have no qualms with dressing up for work, exams, or to go to the opera. It’s not uncommon to see model-esque women and business formal clad men gliding through the streets. And, even when it comes to casual wear, they are incredibly put-together. In order to not stand out, tourists would need to forget about denim or sneakers for any semi-formal or formal event. Dinner, a night out or a ball should all be formal dress – a suit, tie, dress pants, and dress shoes. Czechs aren’t in to mixing casual and proper, and tend toward the more formal side. That doesn’t make them reserved beings, though. They may seem serious, but even the most well-dressed man will find time for a beer or a smoke, or an hour-and-a-half lunch from a pub. Prague offers both local pubs and Michelin star restaurants. Whether a gentleman is looking for snails with an aged wine, or a hearty pork knee and beer, he can find it. The many bars and cafes throughout Prague create endless and unique nightlife possibilities. The most famous ones are found in Wenceslas Square. Night is most definitely an important part of Prague, and when it comes to entertainment options, it is just as lively as it is during the day. Apart from the pubs and bars, nighttime in Prague features stunning lit views of some of its most beautiful attractions. The Prague Castle, located on the right Vltava bank near the Charles Bridge, is a breathtaking and iconic Czech sight. During daylight hours, the bridge (built in 1360) is often crammed by tourists, but at night, one can freely walk and enjoy the scenery. Prague is best seen on foot, wandering through the Old Town’s cobblestone streets. Thus, a good pair of closed, comfortable shoes is a must for any citizen or tourist. A plethora of subways, buses, and trams can get one to most any destination in a safe, relatively inexpensive manner. Taxis are available, but with notoriously bad reputations. Prague is a traditional, dapper city, full of things to see and do, but that leaves one feeling at-home. It is quirky, but comfortable, a mix of old and new, formal and relaxed, and will leave you with a sense of contentment.